In Focus: There’s a New Sheriff in Town! 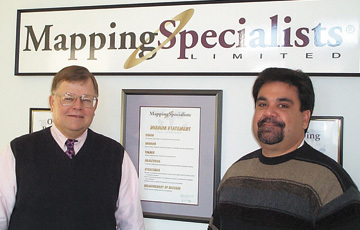 Mapping Specialists’ CEO Jeff Kranz announces that effective January 1, 2006, David Knipfer is promoted to President of Mapping Specialists Ltd. Dave has a long history of playing important roles within MSL, and has been a crucial part of the company’s growth over most of the 21 years since MSL’s founding. His years of working closely with our clients and managing the operations of the company make him well-suited to take over the role of company president. Dave is a long-time resident of the Madison area, having grown up just to the south in the village of Oregon. He received a degree in geography, with an emphasis in cartography, from the University of Wisconsin-Platteville in 1986. 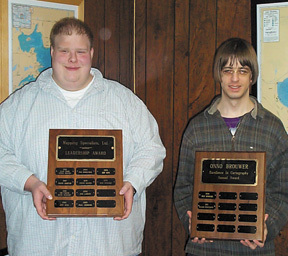 While there, he developed experience in the mapping industry by working at the Wisconsin Natural History and Geological Survey, and by interning during the summers with the City of Fitchburg Parks Department. Dave was hired by Mapping Specialists in 1986 as a cartographer, and was quickly promoted to Project Manager in 1987. In 1990, he was assigned to estimate project costs for MSL’s clients. He was again promoted, to Vice President of Marketing and Operations, in 1993. Over the years, Dave has been actively involved in the day-to-day operations of the company, such as addressing staffing needs, allocation of human and financial resources, and proactively planning for MSL’s future. He has also been the leader of the marketing team, interacting on a regular basis with many of our clients. Dave and his wife Brenda live in Brooklyn, Wisconsin, with their three children (Matt, 15; Cara, 12; and Lucas, 9). Dave is an avid outdoor sportsman, enjoying both hunting and fishing. Dave’s interest in the outdoors led him to propose a line of products for anglers and other water sports enthusiasts, MSL’s 3-D Lake Maps®. He led MSL staff in developing the process that allows us to show the lake bottom and underwater structure of popular Wisconsin recreational lakes in a three-dimensional form. The products, which include wall maps and fold maps, have proven very popular since the line debuted in 2001. The maps are available through bait shops and other outdoor retailers. As the team leader that developed 3-D Lake Maps®, Dave was asked to participate in a television show, The Fishing Guide, a syndicated show that airs regionally. He filmed an episode of the show in late 2001 as a guest angler on Madison’s Lake Monona, proudly landing a feisty muskellunge. 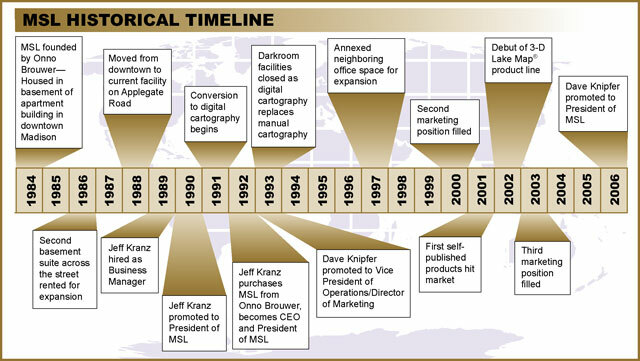 MSL also provided map graphics and sponsored the show. 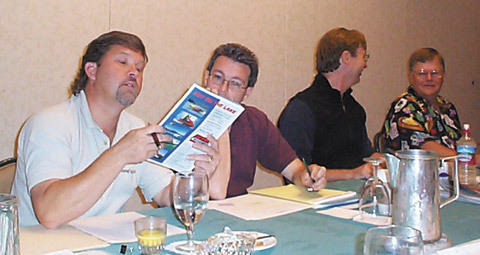 In 2004, Dave was elected to the Board of Directors of IMTA (International Map Trade Association), a position he still holds. With members in more than 50 countries, IMTA represents the commercial interests of the global mapping and spatial information industry. Dave has played an integral part in the development and growth of MSL. Those years of helping to “build the business” set the stage for his ascension as company president. Everyone at MSL offers their congratulations and support to Dave as he provides MSL with direction and stability in his new role. On November 6, 2005 the Myanmar (Burma) government ordered government offices to move from the capital city of Yangon (Rangoon) to Pyinmana, a newly constructed city in the interior approximately halfway between Yangon and Mandalay. The fortified site was selected and built for strategic reasons. This is not the first time that a capital city has moved or a city has been built to become the seat of government. Most are familiar with the relocation of Brazil’s capital from Rio de Janeiro to Brasília. Brasília was carved from the interior of Brazil for strategic purposes. As a port, officials were concerned about naval attacks on Rio. Planning began in 1956 and Brasília became the capital in 1970. Canberra was not the first capital of Australia. Melbourne became the first capital in 1901. In 1908 officials adopted the current site of the Australian Capital Territory as the location for a new capital city. Construction was delayed by World War I and in 1927, Canberra was settled. There are many examples where the seat of government has been relocated recently: Abuja, Nigeria from Lagos in 1991; Dodoma, Tanzania from Dar es Salaam in 1996; and Astana (Aqmola), Kazakhstan from Alma Ata in 1997. 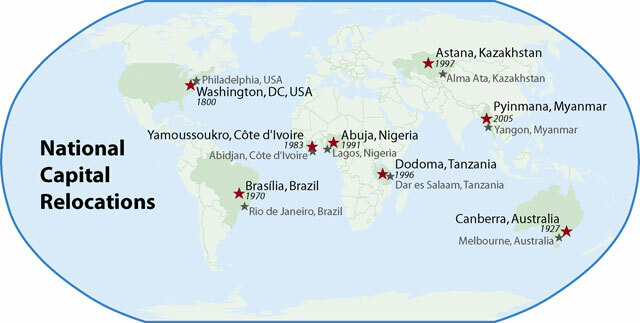 These capital cities were chosen for their central location within their respective countries. For many reasons, some governmental functions may remain in the former capital. Yamoussoukro, Côte d’Ivoire (Ivory Coast) was designated the capital from Abidjan in 1983 because the president was born in what was then a small interior village. Today the city has wide boulevards and modern buildings as well as the largest church in Africa. Lest we forget, our own capital city, Washington, DC, replaced New York and Philadelphia in 1800. Congress designated a site for the new capital on Federal land central to both the northern and southern states, upon the recommendation of Alexander Hamilton. George Washington, whose estate Mount Vernon was nearby, chose the site and Frenchman Pierre L’Enfant designed the plan. And the rest, as “they” say, is history… or is that geography? 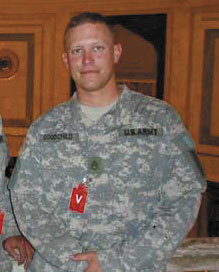 Matt Goodchild is a Mapping Specialists cartographer serving in Iraq with the US Army Reserves. Matt, a rifle squad leader, was deployed in September after a few months of training in Mississippi. Matt’s first base of operations was Camp Bearing in the Kuwaiti desert, where he says the temperature during the day averages 120°F with constant, strong winds. His unit was later moved into Iraq to protect convoys – three members of his unit were recently injured by a roadside bomb. Reports from Matt are that he is doing well and his team is helping to rebuild the country. Our thoughts and prayers are with all who are offering their service to our country. 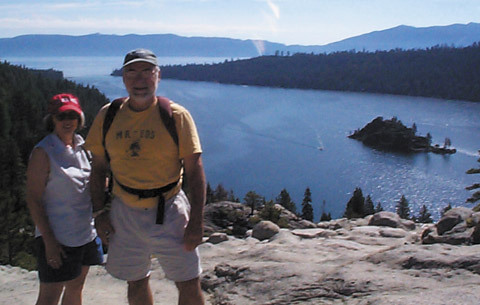 Tim and Dennie Carter at Emerald Bay in Lake Tahoe for the August 2005 management meeting. Steve Davies, Jeff King, Don Larson, Jeff Kranz, along with the other managers, DID conduct company business during the Tahoe trip! 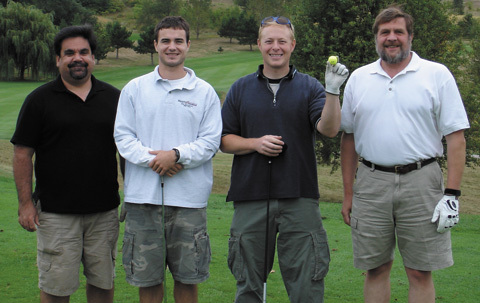 The golf outing after the 2005 Annual Meeting. Shown left-to-right: Dave Knipfer, Cody Thiede, Matt Harr, Alan Craig. 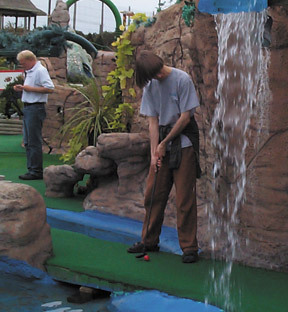 Matt Klaila and William Kyngesburye sharpen their golfing skills after the MSL Annual Meeting in September 2005. 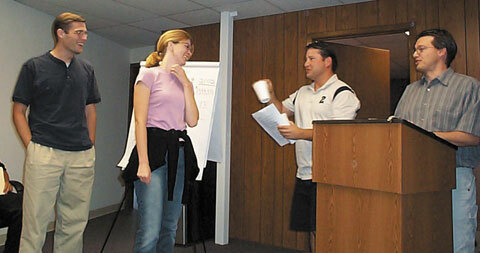 Sean Gutknecht and Mary Swab receive “awards” from Joe Benash and Jeff King during the 2005 Annual Meeting. Jason Laux, Cody Thiede, Mike Davis, Mike Woodard, and Mary Swab dig in at the annual Thanksgiving Turkey Dinner.